Signed in February 2016, the Trans Pacific Partnership (TPP) will have a major impact on farmers’ access to and control over seeds. The US-led agreement, which covers 12 countries of the Asia-Pacific region (excluding China), opens the door to trade in genetically modified seeds and encourages member countries to apply intellectual property rights to the realm of “traditional knowledge” about plants and animals. While the TPP is certainly cause for concern, another mega trade deal is being negotiated behind closed doors that could threaten farmer seed sovereignty in Asia even further. Like the TPP, the Regional Comprehensive Economic Partnership (RCEP) is a trade and investment agreement covering a wide range of issues including: trade in goods and services, economic and technical cooperation, intellectual property, competition and dispute settlement. Some consider RCEP to be a “tamer” version of the TPP that is friendlier to low and middle-income countries. Indeed, the agreement—which includes China and excludes the US—is viewed as an Asia-led geopolitical tool to counter the TPP. Nonetheless, RCEP does little to advance the interests of local communities in Asia and, like the TPP, is being negotiated without the participation of farmers, unions, indigenous peoples, health advocates, and other members of civil society. Why does this matter? First, covering ten Southeast Asian nations and six regional partners (RCEP will include the ten members of the Association of Southeast Asian Nations or ASEAN. It will also include six regional partners of ASEAN: Australia, China, India, New Zealand, Japan and South Korea), RCEP will impact more than four times the number of people affected by the TPP: while the TPP accounts for 800 million people and 13 per cent of world trade, RCEP will include 3.5 billion people and 12 per cent of world trade. Second, leaked RCEP negotiating texts point to real dangers regarding local control over seeds and the fate of indigenous people’s and farmers’ traditional knowledge in Asia. According to the Asia Pacific Seed Association, farm-saved seeds account for 80-90 per cent of all seeds used in Asia. 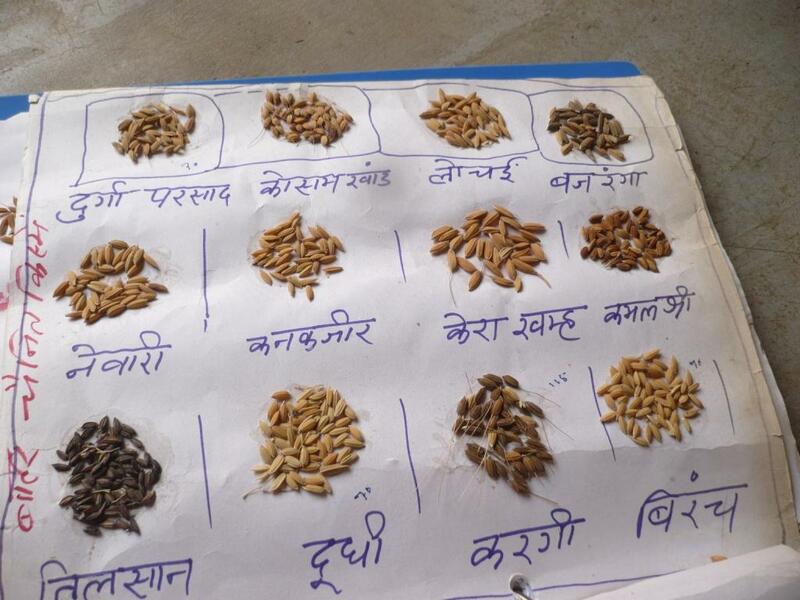 Farmers select crops based on a number of considerations, including soil type, dietary preferences, livestock needs, weather patterns, water availability and local culture. They have long traditions of saving and freely exchanging seeds amongst themselves, crossing different varieties and storing seeds for the next planting season. However, these traditions can no longer be taken for granted. Since the Green Revolution of the 1960s, farmers across Asia have been hit hard by successive waves of government and corporate programmes designed to replace farmers’ seeds with so-called high yielding varieties. Today, genetically modified seed companies from the West, as well as hybrid rice seed producers from China, are vying for control of Asia’s seed supply. Trade agreements like TPP and RCEP have become the mechanism of choice for pressuring governments to change seed laws to allow for the privatisation of seeds. In 2015, civil society organisations published several leaked documents that included intellectual property rights language from Japan, South Korea, India and ASEAN. The texts indicate a strong push to increase the power of corporate seed companies; criminalise seed saving and exchange; and create databases of traditional knowledge available to patent offices. If digital libraries of genetic resources or traditional knowledge are compiled and made available, companies like Monsanto and Syngenta could easily tap into this information and appropriate the knowledge and genetic resources of farming and indigenous communities. Hot on the heels of the TPP, it is clear that RCEP will restrict seed saving and seed exchange at a time when, under the extreme pressures of climate change, farmers need more diversity in their fields, not less. Furthermore, it could increase their dependence on external inputs and raise their costs of production. Opponents of RCEP say that the trade deal could triple the current price for seeds. Trade agreements like RCEP should not give corporations monopoly rights over seeds, prevent farmers from saving seeds or promote GMOs—but that is what they do. These agreements are inherently biased towards the interests of corporate and political elites. RCEP could be signed in Laos as early as August 2016. We need to urgently step up our work to raise awareness about what RCEP means for farmers and food sovereignty in Asia. Broad alliances are needed—among farmers unions, indigenous peoples’ organisations, food rights activists, medicine and digital rights campaigners, fisher folk groups, small retail supporters, and others—if we are to stop these trade talks that stand to endanger the lives and livelihoods of billions of people.